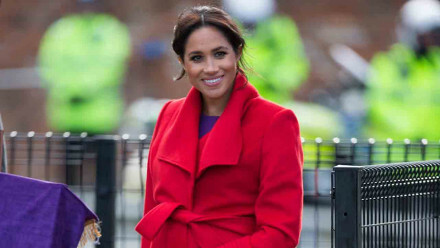 Has Meghan Markle hired a doula for her royal baby’s birth"
Someone special might be joining Duchess Meghan for the birth of her first child this spring! As Prince Harry and Meghan eagerly await their bundle of joy, several reports are saying that the duchess has hired a doula to support her during labour. A doula ? typically a woman without formal medical training ? provides emotional support and guidance through a woman’s pregnancy, labour and postpartum experience. ?Meghan is focused on calm and positive energy around the birth ? she?s a big believer in that,? a royal source recently told Us Weekly. Given Meghan’s love for yoga and mindfulness, it wouldn’t be a surprise if she did, in fact, enlist a doula’s help.